This week: Well, forgive me. I don’t have a lot for you but from what I do have for you, I could tell countless stories! That’s the flip side of this entire deal. There’s lots of stories coming! Please come back, we’ll be talking about steaks, BBQ, dance halls, taxidermy, horses and everything that is greatness! Day 135/365: May 15, 2014 I skipped this day in preparation of the weekend. Eeek. This has to be my favorite beverage ever – Sweet Leaf Tea. Yum! I could get them by the case! Day 137/365: May 17, 2014 One of my favorite days of the year, I could’ve just posted photos from this day for the entire week! This is a gem that I came across and I was so excited, I was like a kid in a candy store. More to come… (and yes, this place is real and it is as awesome as it looks)! Day 138/365: May 18, 2014 Burger’s Lake, Fort Worth. I’ve heard about this place for a while and it is in deed real! It’s a small lake / large pond. Heck, let’s call it a large body of water with a sandy bottom full of toys for the kids, diving boards for the big kids and grills and picnic tables for all the kids. No camping but apparently a great place to spend the day with family and friends that will hold lifelong memories (so I’ve been told). Day 139/365: May 19, 2014 Today was a Monday, I worked and had a case of the Monday’s and went grocery shopping. I was so exhausted from the weekend. Picture me curled up on my couch watching Mike and Molly and Friends with Better Lives. Both literally making me laugh out loud. Tuesday came along and things stayed consistent with Monday. I apologize but I’ll be making up for it shortly! Sound the trumpets! This is one of, if not my favorite food! I don’t have it often but man, is it wicked delicious! A Canadian delicacy, homemade fries, curd cheese and brown gravy. Don’t knock it until you try it, when you try it – it’ll knock your socks off! 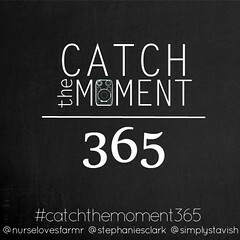 This entry was posted in Catch The Moment 365 and tagged Catch The Moment, Project 365 on May 23, 2014 by Diana. Vacation, traveling, back to work, busy, busy, busy! Here’s the last two weeks! Just up the road from my parents house, oh the view never gets old! Peaceful and quiet! Happy surprise 30th birthday Kasey! Life long friends meet up once again and a new little one on the way! So excited! One of my favorite things when I go home! Love these ladies (just missing Miss Desiree). “You and Me Going Fishing In The Dark” … Fishing at Lake Carmi with my brother and sister-in-law. So quiet and relaxing, so quiet in fact, we could hear people talk across the lake. I’m sure they could hear us too, laughing hystically. Well, my sister-in-law and I anyway. Pretty sure we drove my brother crazy. Oh yea – we caught three fish! Then came the day when I had to leave my home state. The day I hate. Oh the tears. Always tears. Seriously, look at this view of Lake Champlain. Priceless. So incredibly proud to be able to call this place home! Went to a show in Fort Worth and I mean, can we not say this is the sweetest thing ever? I love it when people dance! My Mama made ma quilt. It’s gorgeous and speaks Vermont – Maple leaf themed. So talented that Mama of mine! Dreamy rodeo clown at the Stockyards Rodeo in Fort Worth! I got to play softball! Two games. For having not played in a couple years, I think I did pretty well. Would love to play more often so if anyone needs a player… give me a holler! Sometimes we need to remember to look up! Hockey playoffs are one of my favorite times! Mostly because I can actually see the Habs play while in Texas (unlike the rest of the season). Habs vs. Bruins! What a great series! Game 7 Montreal Canadiens vs. Boston Bruins. I’m not a Bruins fan by any means but this guy seriously cracked me up! Anyone else see his little dance (I’m not sure what else to call it) after he sang the national anthems? This entry was posted in Catch The Moment 365 and tagged Catch The Moment, Project 365 on May 16, 2014 by Diana.